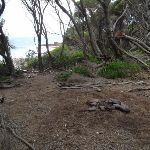 This walk starts from the Saltwater Creek camping area, passing through some varied vegetation groups on its way to Mowarry Point Lookout. The walk passes the great view from the red cliffs before heading into a red platform bay, with an opportunity to see the rock formations up close. This great walk has a variety of stunning scenic views. 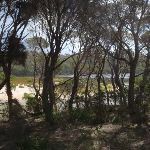 Salwater Creek campground is a nice place from which to access the coastal walking track -there is plenty of swimming, fishing and snorkeling to be done as well. There are some rainwater tanks on site, but be prepared for them to be empty. 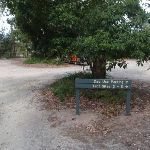 From the information signs at Saltwater Creek camping area, the walk heads through the ‘Day use’ parking area to the far left corner. 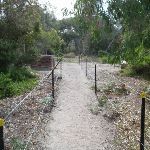 The track then follows the track-marker through the fenced area and onto the beach between the creek and ocean. The track continues towards the bush on the other side, where there is a signposted intersection. Saltwater Creek meets the South Pacific Ocean at a beautiful white sand beach in Ben Boyd National park. The beach looks north-east and has a rock shelf at either end. The wide Saltwater Creek forms a lagoon at the northern end, popular for swimming. Woodburn Creek also forms a lagoon on the southern end of the beach. Both creeks have a brown colouration from the tea tree, that forms a beautiful contrast with the white sand and blue ocean. 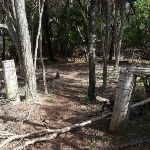 The back of the beach is heavily wooded, providing some shade, and is home to the Saltwater Creek campsite. 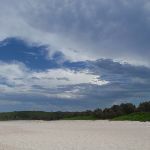 The beach can be accessed from the Saltwater Creek campsite at the end of the access road from Duck Hole Road. Turn left: From the intersection, the walk heads up the hill following the sign to ‘Mowarry Point 5.4km’. The track heads up the hill into the heath, keeping the ocean on the right. The walk winds through the heath and Melaleuca trees surrounding the track. There are numerous fallen branches and trees hanging above the track, so walkers should take due care. The walk continues up through an old farm fence as it winds along the coastline, then heads down to a rock shelf above the ocean. 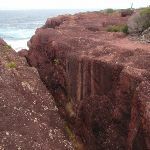 Red Cliffs – These fantastic red coastal cliffs are found about 1km north of saltwater creek in Ben Boyd National Park. 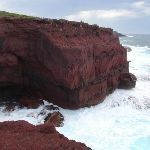 The cliffs are made of a red siltstone. As the name suggests, this rock is made from deposited silt, making it much finer grain than sandstone. 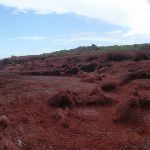 The red silt came from nearby volcanic eruptions long ago, and is clearly different from the other brown siltstone and sandstone in the region. The cliff is unfenced and provides views out to sea and into a few surrounding bays. More info. 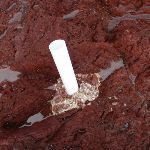 Turn left: From the rock platform, the walk heads up the rock platform following the arrow signs while keeping the ocean on your right. The walk then turns left, away from the ocean, up the stairs to wind through the heath. The track winds through sections of bush and heath, tending right towards the coast. 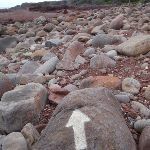 The walk then meanders across a rock shelf, then follows the arrow signs down, off the rock shelf and onto a pebbly beach. The walk continues across the rocky beach to the arrow sign in the middle. Veer left: From the signpost, the walk heads away from the ocean (which is on the right) into the clearing just inside the tree line, following either the white arrow painted on the rock or the arrow sign. The track winds up the hill, passing a clearing with a fire place. 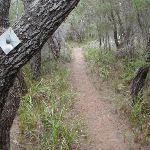 The track passes through sections of eucalypt bush and low and tall heath, keeping the coast to the right. The track then comes to an clearing with views towards Boyd Tower and waves crashing on rocks below. Mowarry Point lookout is an informal vantage on Mowarry Point in Ben Boyd National Park. There is no signage or other infrastructure. 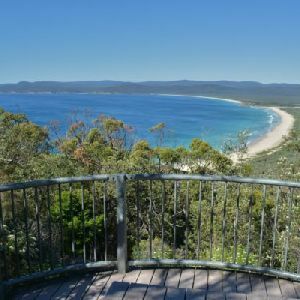 The lookout provides a unobstructed view to the north and north-east, along the coast of Ben Boyd National Park. The view extends up to Eden, into Twofold Bay and out over the South Pacific Ocean. 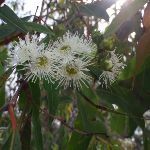 There are some Melaleuca trees that offer limited shade. This whole walk, 4.2km has short steep hills. 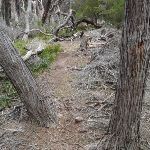 Around 2.6km of this walk follows a rough track, where fallen trees and other obstacles are likely, whilst the remaining 1.7km follows a formed track, with some branches and other obstacles. Around 2.6km of this walk has minimal directional signs, whilst the remaining 1.7km has directional signs at most intersection. This whole walk, 4.2km requires no previous bushwalking experience. Around 2.6km of this walk is not usually affected by severe weather events (that would unexpectedly impact safety and navigation), whilst the remaining 1.7km is affected by storms that may impact your navigation and safety. 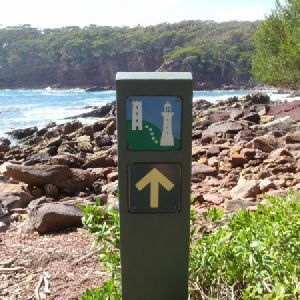 2.6km of this walk has limited facilities (such as cliffs not fenced, significant creeks not bridged) and another 1.5km has limited facilities (such as not all cliffs fenced). The remaining (180m) is close to useful facilities (such as fenced cliffs and seats). A list of walks that share part of the track with the Saltwater Creek to Mowarry Point walk. 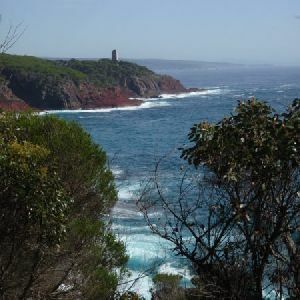 This walk starts from Saltwater Creek camping area and heads north around the bay to the red cliffs. 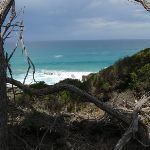 The walk gives an opportunity to explore the end of Saltwater Creek, the beach and the varied bushland on it’s journey to the bald rock platform. 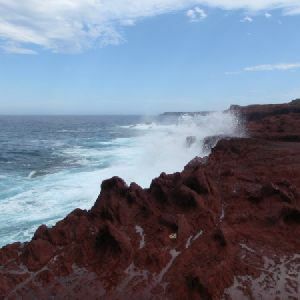 From the rock platform, there are awesome views and sounds of the sea smashing against the red cliffs below. It is worth spending some time exploring the rocks, being careful to stay clear of the edge. 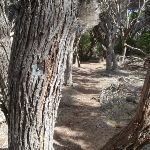 This walk is a great way to spend a morning or afternoon out from Saltwater Creek camping area. The walk passes the red cliffs that create a dramatic contrast against the intense blue of the sea and green of the heath. 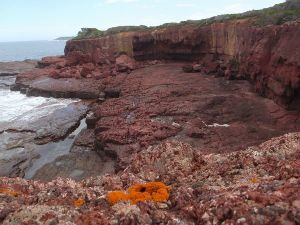 The walk also passes through a bay with a large red rock platform which is a great place for exploring the rock pools and shallows. Mowarry Point provides scenic views north up the coast. 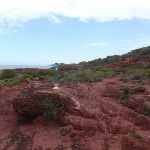 The walk from Mowarry Point to Red Cliffs is an interesting trip through quite a few distinct vegetation types, with a few money shots of the coast line. The grass, heaths, and melaleuca along the way break up the walk to Red Cliffs, which are absolutely stunning. Spend time at the Red Cliffs to see all the different rock formations and inlets that have been created by erosion. Be mindful to keep a safe distance from the edge. The road to the start of this walk is 4wd track only. This walk follows the second main section of the Light to Light walk. 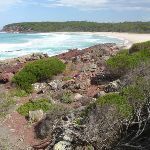 The walk joins the two main camping areas of Ben Boyd National Park, by walking along the coast from Saltwater Creek to Bittangabee Bay. 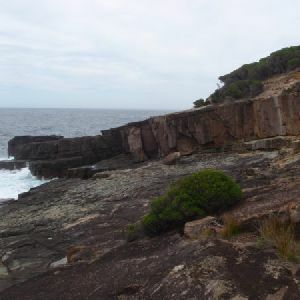 The walk explores a few bays, beaches and stunning rock formations on its journey. About half this walk is through open heath or grass lands, allowing plenty of great views out to sea and down the coast. 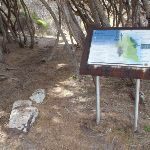 Parts of the walk pass through the taller melaleuca forests providing some shade and interest in the diverse flora of the coast environment. 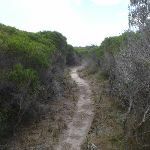 This return walk, from Saltwater Creek camping area, heads south along the coast and around the headlands to Hegartys Bay. The walk passes over a large expanse of low heath along the headland between the bays, providing great panoramic views of the coast. 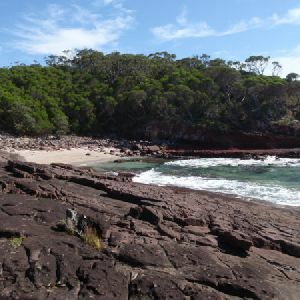 There is a small campsite at Hegartys Bay with some shade and a fascinating red rock platform on the waters edge. 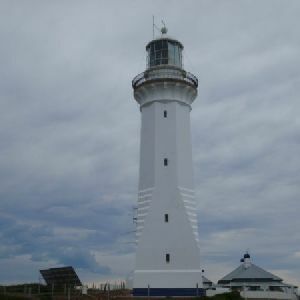 Over two days, this classic walk explores the coast from Boyd Tower to the Green Cape Lighthouse in the south. 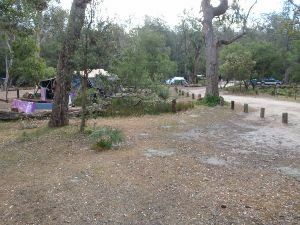 Hegartys Bay Camp is over halfway and is the quietest campsite in the park (alternative camp at Saltwater creek). The walk explores many of the scenic and historic highlights of Ben Boyd National Park. It is worth taking the time to enjoy the many bays and vantage points along the way. 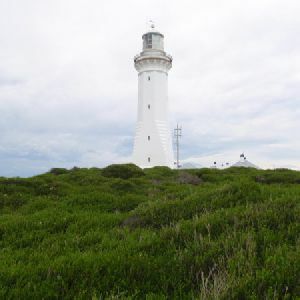 This classic walk explores the coast from Boyd Tower to the Green Cape Lighthouse in the south, with overnight stops at the well established Saltwater Creek and Bittangabee Bay campsites (bookings required). 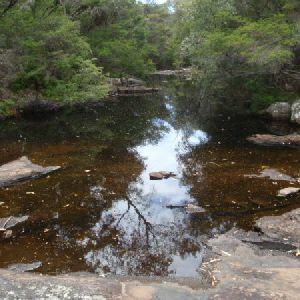 The walk explores many of the scenic and historic highlights of Ben Boyd National Park. It is worth taking the time to enjoy the many bays and vantage points along the way. A great walk. 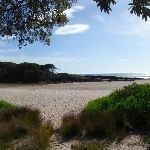 A list of walks that start near the Saltwater Creek to Mowarry Point walk. The walk to the old storehouse is an opportunity to explore some history of the region and see some fantastic rock platforms. The storehouse and wharf are perched just above the water, on the red rock of the bay. The view across the bay, with the contrast of the red rock, can be magical on sunny days. It is worth allowing time to explore the area, soaking up the natural and historical human efforts that make this area unique. 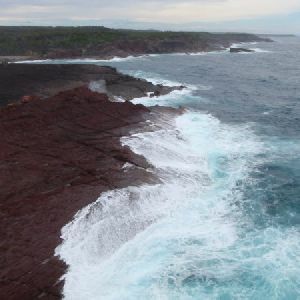 This walk from Bittangabee Bay is a magnificent way to view the coastline of Ben Boyd National Park. The low heath for much of this walk allows great views out across the ocean and across the flora of the park. 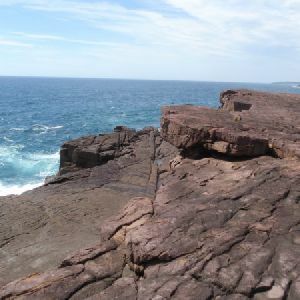 The walk finishes with a longish section of service trail leading down to Pulpit Rock, where the ocean relentlessly beats against the rock shelf. Allowing more time you could return to Bittangabee Bay by retracing your steps. This is the final of the three formal sections of the classic Light to Light track. 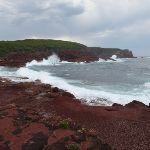 This walk starts at Bittangabee Bay, where walkers can explore the ruins and and the scenic beach. The walk follows the coast through a variety of environments, mostly in open heath, taking full advantage of the coastal views. The walk explores a variety of natural splendours and human stories of triumph and tragedy. The walk finishes at the lighthouse on Green Cape. 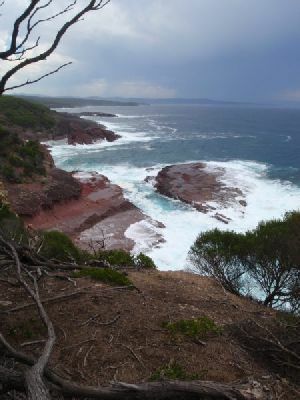 The walk from Bittangabee Bay to the southern point of the bay, is a walk to a nice lookout. The walk is well marked, however the informal lookout is not signposted. The lookout is a large gap in the bush along a section of the Light to Light track. The lookout gives a great view across to the black rocks on the north of the bay, and the large rock shelf below the lookout. 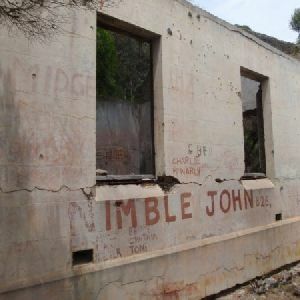 This walk takes a look at the historical ruins of the Imlay brothers house. The ruins reveal the outline of what would have been a great house, in a quiet and scenic bay. The walk returns by the coast with views through the trees of the turquoise waters. This is an interesting trip to help understand the work of local whalers and business men who lived in the region during the mid 1800’s. This walk winds into the beautiful Bittangabee Bay, after passing the historic Imlay House ruins. 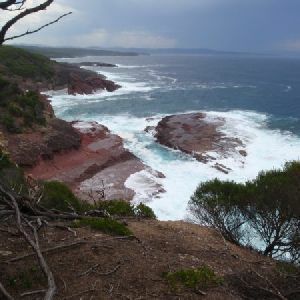 Starting from Bittangabee picnic area, the walk heads to the creek feeding Bittangabee Bay on its north west corner. The tracknotes mention an alternate route, running closer to the coast, potentially making this into a loop walk. 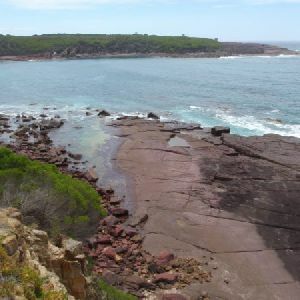 This walk is a great way to explore the less visited areas of the popular Bittangabee Bay. The walk winds around the northern side of the bay to explore the cliff top views. 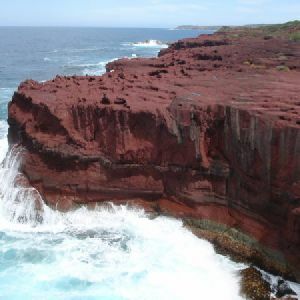 The black cliffs are unfenced, and give great views over the entrance of Bittangabee Bay and out to sea. 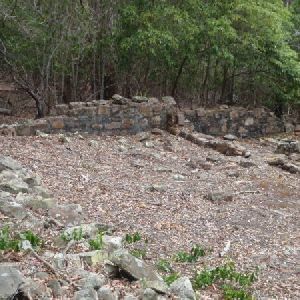 On the way there is an opportunity to explore the history associated with the ruins of Imlay house. 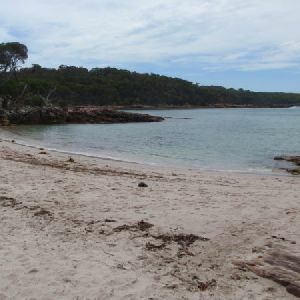 This is a pleasant walk which wanders around the coast from Bittangabee Bay to the rocky Hegartys Bay. The walk is an excellent outing from Bittangabee Bay camping and picnic areas, and it passes a few good places for a swim. 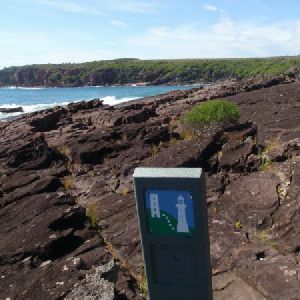 The walk is well marked and explores the coast north of Bittangabee Bay. The red coast at Hegartys bay is fantastic. 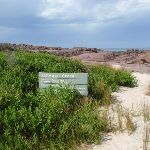 If you want, there is a bush camp at Hegartys Bay, making this into an overnight walk. 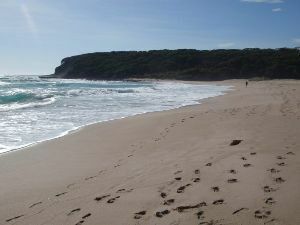 This is a short walk onto the lovely, sandy Bittangabee Beach. The walk heads down from the car park, through the picnic area and onto the beach. There is generally no surf at the beach as it tucked into the bay. The walk is very well signposted and along a well defined track. This is a very short walk to a spectacular lookout. If you are in the area heading to Green Cape, then you really must stop off and soak up the view. Disaster Bay is named in memory of all the ships that have run aground in the region. On a sunny day, the views of the ocean, long beach and Nadgee Nature Reserve are remarkable – such a contrast to the memory of the lost ships and lives. 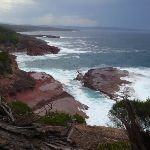 This is a fantastic short walk, with views of the waves crashing into the spectacular red rock of the coast. The short walk down to Pulpit Rock goes straight down stairs onto the rock platform. The rock platform is popular with fishermen with fixed rod holders near the seas edge. 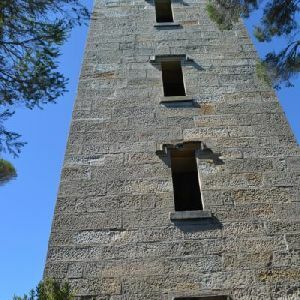 This walk in Ben Boyd National Park is a magnificent way to explore the heritage of Boyd Tower. There are plenty of information signs that enrich the story of the stunning structure and history of the area. Boyd Tower is the centre piece of this walk and is well worth a visit. The bottom of the tower is open to the public and makes this piece of history that much more interesting when exploring. There are two optional side trips to two lookouts with very different views, one is wheelchair accessible, the other is down a very steep set of steps. http://new.wildwalks.com/wildwalks_custom/includes/walk_fire_danger.php?walkid=nsw-benbobnp-sctmp Each park may have its own fire ban, this rating is only valid for today and is based on information from the RFS Please check the RFS Website for more information.